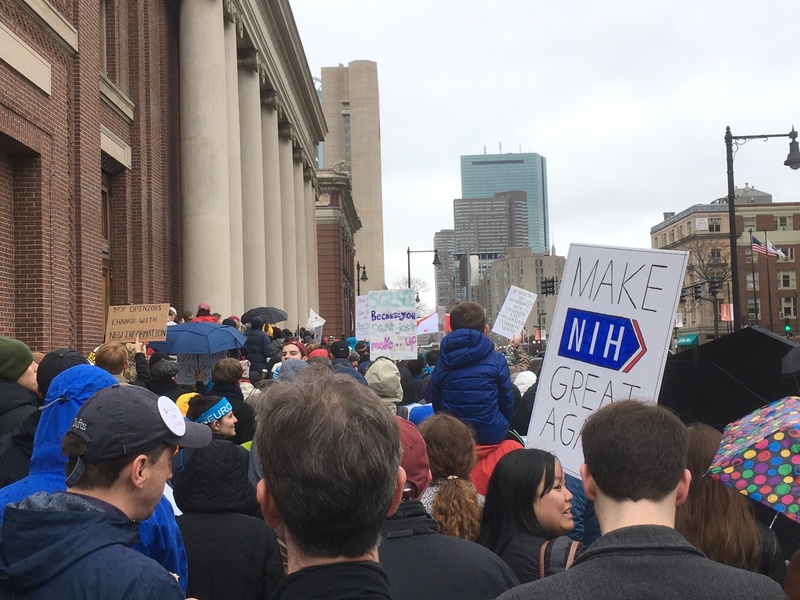 Marchers head down Huntington Avenue from the Longwood Medical Area to join Boston’s March for Science at Boston Common. Holding signs and singing songs, hundreds of Harvard affiliates—including University President Drew G. Faust—joined thousands of people flooding the streets of Cambridge and Boston Saturday to support scientific research in the face of potential cuts to federal research funding. President Donald Trump’s proposals to significantly cut federal funding for scientific research has worried Harvard professors and administrators. 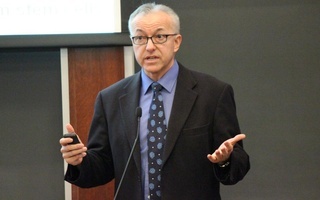 In March, a University spokesperson harshly criticized the White House’s proposed budget—which could cut large portions of the Environmental Protection Agency and National Institute of Health’s budgets. Other Harvard affiliates have said they are concerned about Trump’s stance on climate change. Harvard Medical School Dean George Q. Daley ’82 spoke at the Longwood rally, while renowned Medical School professor George M. Church gave remarks at the city-wide march in Boston Common. Hundreds, many with homemade signs and young children in tow, joined Daley at the Longwood rally, where Medical School students, patients, researchers and Dean of Students Fidencio Saldana all delivered speeches. In his speech, Daley criticized the White House’s recently-proposed cuts to scientific research, citing examples of how federally funded research has helped save lives lost to heart disease, cancer, and HIV. “Make no mistake. Like a slow-growing but ultimately malignant cancer, the metastasizing doubt of science will lead to harmful decisions and reckless policies,” he said. Daley extolled the impact of scientific research and said that nearly half of new cancer drugs approved by the Food and Drug Administration in the last five years came from research funded by National Institutes of Health. Amy Coughlin, the mother of an 11-year old daughter who was diagnosed with early-childhood neuroblastoma, described how new stem-cell treatments kept her daughter alive. The Boston March for Science featured songs, speeches, and a children’s event. 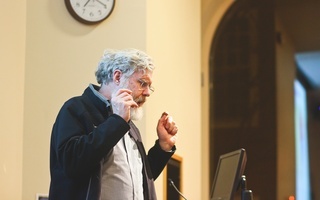 Church, recognized for his contributions to CRISPR gene editing, was among the first to speak. Church urged to crowd to celebrate science funding and literacy regardless of affiliation.